LONDON (AFP) - More people in Britain oppose military action than support it to end the standoff over Iran's capture of 15 British military personnel in the Gulf, a pA survey for an ICM poll published in The Sunday Telegraph found that 48 percent of voters rejected force even as a "last resort," while 44 percent backed it if diplomacy failed. The poll found that 40 percent of voters back the government's stance of pursuing diplomatic action to win the release of the 15 without issuing an apology. Britain and Iran sought on Friday to calm the dispute over Tehran’s capture of 15 UK naval personnel, following several days of rising tensions. After days in which the dispute focused on the two countries’ denunciations of each other in the media, British officials welcomed an Iranian letter that indicated that more traditional diplomatic forms of contact were now being established. Gordon Brown has denounced Iran's treatment of captured sailor Faye Turney as "inhuman". VIENNA (Reuters) - The International Atomic Energy Agency is pushing Iran to agree to cameras in its underground nuclear plant within days and Western states are mulling whether to seek a crisis IAEA meeting if Tehran refuses, diplomats said. The United Nations (UN) Security Council has expressed "grave concern" at Iran's detention of 15 British sailors and marines and has asked for their release. 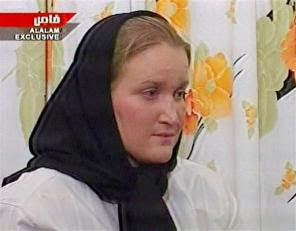 (AP) Iran on Thursday rolled back on a pledge to release a female British sailor, and a top official said the 15 captives may be put on trial. CBS/AP) The U.N. Security Council expressed "grave concern" Thursday over the capture of 15 British sailors and marines and called for an early resolution of the problem, including their release. Iran proudly boasts of its 3,000-year history, but its behaviour is more like that of a dysfunctional family when it comes to its international relations. A genuine confession or humiliation and cynical abuse of international law? These were the questions being asked after the appearance of the British hostage Faye Turney on Iranian television last night. BAGHDAD (AP) The Iranian consul in Basra charged Thursday that British soldiers had surrounded his office in the southern city and fired shots into the air. Britain denied the allegation. The allegation comes at a critical period in the crisis over Iran's seizure of 15 British sailors and marines. The Ministry of Defense in London said the shooting was an exchange of gunfire after British troops on a foot patrol near the Iranian consulate were ambushed. But Iranian Consul-General Mohammed Ridha Nasir Baghban said British forces had engaged in a "provocative act" that "could worsen the situation of the British sailors." "British forces should rely on wisdom and not react because of the British forces' detention. This reflects negatively on bilateral relations," Baghban told The Associated Press in a telephone interview. LONDON, March 29 — Britain said today it would seek United Nations backing against Iran in the dispute over its captured sailors, apparently brushing aside a threat from the Iranian government to delay the release of the only woman among the British prisoners. The British sailors and marines being held by Iran were ambushed at their most vulnerable moment, while climbing down the ladder of a merchant ship and trying to get into their bobbing inflatables. Out of sight of their warship and without any helicopter cover, their only link to their commanders was a communications device beaming their position by satellite. That went dead as they were captured. One theory is that it was thrown overboard to prevent the Iranians getting hold of the equipment and the information it contained. The Ministry of Defence released the coordinates of the searched vessel yesterday to prove that the Iranian Revolutionary Guards made an unprovoked and improper attack in Iraqi waters. Iran has offered to let UK officials visit the 15 Royal Navy personnel who were captured in the Gulf on Friday. Iran's foreign minister also said the only woman being held, Faye Turney, who has been interviewed on Iranian state television, could be released. However, he added the stand-off would be resolved only if the UK stated that the sailors and marines had been in Iranian waters, which it denies. LONDON — Britain and Iran have entered an escalating battle of televised propaganda and diplomatic brinksmanship over the imprisonment of 15 British sailors and marines captured in the waters between Iran and Iraq. We had hoped to see their immediate release; this has not happened. It is now time to ratchet up the diplomatic and international pressure in order to make sure the Iranian government understands its total isolation on this issue Iran said a female British sailor seized with 14 other crewmembers would be released Wednesday or Thursday, softening Tehran's position by suggesting their boats' alleged entry into Iranian waters may have been a mistake. RIYADH, Saudi Arabia — Iran's foreign minister said Wednesday that Britain must admit that its 15 sailors and marines entered Iranian waters in order to resolve a standoff over their capture by the Mideast nation. Manouchehr Mottaki's statement in an interview with The Associated Press came on a day of escalating tensions, highlighted by an Iranian video of the detained Britons that showed the only woman captive saying her group had "trespassed" in Iranian waters. Britain angrily denounced the video as unacceptable and froze most dealings with the Mideast nation. TEHRAN, Iran — Iranian state TV showed video Wednesday of the 15 British sailors and marines who were seized last week, including a female captive who wore a white tunic and a black head scarf and said the British boats "had trespassed" in Iranian waters. The British government protested Iran's broadcast of the captured crew as "completely unacceptable." The British military had earlier released what it called proof that its boats were in the territorial waters of Iraq — not Iran — when they were seized. LONDON (Reuters) - Iran said it was not concerned about U.S. naval exercises in the Gulf on Wednesday as Britain increased pressure on Tehran over the capture of 15 military personnel in a crisis that has rattled global markets. A market rumor -- denied by both Washington and London -- that military operations were under way in the Gulf sent oil prices briefly up by $5 overnight to more than $68 a barrel before they settled back at around $64. Britain was expected to unveil evidence on Wednesday to show the 15 British sailors and marines, captured last week by Iranian gunboats near the waterway that separates Iran and Iraq, were in Iraqi waters. Shifting river channels, national rivalries and decades-old grudges all complicate what should be a simple question: whether British sailors were in Iraqi or Iranian waters when they were seized by Iranian forces. The British insist the 15 sailors and marines were in Iraqi waters of the Shatt al-Arab waterway when they were captured Friday by naval units of the Iranian Revolutionary Guards. At the time, the British were inspecting an Indian-flagged ship suspected of smuggling cars. The prime minister has urged Iran not to defy United Nations Security Council sanctions over its nuclear programme. Datuk Seri Abdullah Ahmad Badawi, who is the Organisation of the Islamic Conference (OIC) chairman, said he hoped Iran would consider the implications of the sanctions. "This is a decision by all UN members and it is hoped Iran will abide by it. I hope Iran will study the sanctions. It will be difficult for Iran to defy them." On Saturday, Iran denounced the UN sanctions adopted by the council as "unlawful, unnecessary and unjustifiable actions" orchestrated by some of its permanent members. In the wake of the debate and criticism of the weak United Nations Security Council sanctions levied against Iran this past weekend, one thing remains clear: Iranian state-sponsored terrorism remains decidedly back seated to the more comfortably addressed nuclear crisis. The United States and the rest of the West continue to erroneously shelve Iranian terrorism, with its rich and bloody three-decade history, in complete deference to a still-undeveloped nuclear threat. While a nuclear-armed Iran cannot be tolerated, this reversal of priorities is a grave mistake. MANAMA, March 28 (Reuters) - Mounting tensions between Iran and the West have accelerated war games the U.S. navy is conducting in the Gulf, a spokesman for the U.S. Fifth Fleet said on Wednesday. A second U.S. aircraft carrier began exercises in the Gulf on Tuesday -- the first time two such vessels have been sent to patrol Gulf waters since the U.S.-led war on Iraq in 2003. The U.S. exercises come amid rising tension with Iran over its nuclear programme and its capture of British sailors. March 28 (Bloomberg) -- The U.K. Ministry of Defence, stepping up pressure on Iran to return 15 detained sailors and Marines, released evidence suggesting British boats were 1.7 nautical miles inside Iraq when they were seized. Vice Admiral Charles Style said Iran's navy raided Britain's boats on the Iraqi side of the Shatt al-Arab waterway dividing the two countries on March 23. He said GPS navigation data showed the position of Britain's boats, adding that Iranian officials have given two separate accounts of the location of the vessels. MOSCOW: Russia's Foreign Ministry on Tuesday sharply criticized the United States for what it called over-reliance on force and warned Washington against military action against Iran. But in a major review of foreign policy priorities, the ministry said Moscow was ready to cooperate to end global crises if Washington treats it as an equal partner. March 27 (Bloomberg) -- Iran won't suspend uranium enrichment as a condition for talks to resolve the dispute over its nuclear program, the Foreign Ministry said, three days after the United Nations Security Council voted for further sanctions against the Islamic Republic. March 27 (Bloomberg) -- U.K. Prime Minister Tony Blair said that efforts to release 15 British sailors and Marines seized by Iran will enter a ``different phase'' if negotiations fail. The U.K. is using diplomatic channels to make the Iranian government understand that the eight Royal Navy sailors and seven Royal Marines ``have to be released,'' Blair said today in an interview with the U.K. television show GMTV. ``I hope we manage to get them to realize they have to release them. If not, then this will move into a different phase,'' Blair said. ``We cannot have a situation where our servicemen and women are seized.'' Asked what he meant by a different phase, Blair didn't elaborate. ``We'll just have to see,'' he said. MOSCOW -- The presidents of Russia and China on Monday called on Iran to fulfill the UN Security Council's demands over its disputed nuclear program, indicating impatience from Iran's two closest allies over its continued defiance. The joint call from Vladimir Putin and Hu Jintao came a day after Iran announced it was partially suspending cooperation with the International Atomic Energy Agency in response to the latest Security Council sanctions. The U.S. said Iran's move was a "step in the wrong direction." FIFTEEN British sailors and marines arrested by Iran off the coast of Iraq could be charged with spying and held until the US releases five Iranian Revolutionary Guards seized by US forces in Iraq earlier this year. Reports yesterday said a website run by associates of Iranian President Mahmoud Ahmadinejad had reported that the arrested Britons would be put before a court and indicted. Referring to them as "insurgents", the site said: "If it is proven that they deliberately entered Iranian territory, they will be charged with espionage. If that is proven, they can expect a very serious penalty since, according to Iranian law, espionage is one of the most serious offences." LONDON (AFP) - Prime Minister Tony Blair on Tuesday warned Iran that efforts to secure the release of 15 sailors would enter a "different phase" if diplomatic efforts failed. Britain has sought to keep up pressure on Iran which has rejected growing international calls for their release. TEHRAN, Iran - Iran said Tuesday the 15 detained British sailors and marines it holds are healthy and are being treated in a humane fashion. “They are in completely good health. Rest assured that they have been treated with humanitarian and moral behavior,” Mohammad Ali Hosseini, a spokesman for the Foreign Ministry, told The Associated Press. There is a wise American saying: "If you are in a hole, stop digging." The six governments that are currently considering the next steps to prevent Iran from developing a nuclear bomb -- the five permanent members of the UN Security Council and Germany -- should heed that advice. Otherwise, they could end up without any handle on the Iranian nuclear program, and only one -- useless -- option left: a military strike. TEHRAN (Reuters) - Iran says the British sailors it detained are well but has not disclosed where they are being held, Britain said on Monday, as tension over their capture and Tehran's nuclear plans sent oil prices to a 2007 high. The Honourable Peter MacKay, Minister of Foreign Affairs and Minister of the Atlantic Canada Opportunities Agency, today issued the following statement regarding the adoption of United Nations Security Council Resolution 1747 imposing additional sanctions on Iran. “Canada fully supports the Resolution adopted unanimously today by the United Nations Security Council, which imposes additional sanctions on Iran for failing to implement the international obligations set out in Security Council Resolution 1737. As was the case with that Resolution, Canada will implement the measures contained in Resolution 1747 fully and expeditiously. “Canada once again strongly urges Iran to comply with the international obligations set out by the Security Council, including the full and verified suspension of all enrichment, reprocessing and heavy water-related activities. Canada reminds Iran that doing so is key to the Security Council suspending measures against Iran and opening the way for negotiations on a mutually acceptable political settlement. British Prime Minister Tony Blair urged Iran on Sunday to release 15 British sailors and marines who were seized off the Iraqi coast on Friday, calling their detention "unjustified and wrong." The group and their two inflatable boats, which were being used in a search for smugglers, were seized at gunpoint on Friday at the mouth of the Shatt al-Arab waterway, marking the southern stretch of Iraq's border with Iran. British Prime Minister Tony Blair insisted on Sunday that the 15 captured British sailors and Royal Marines had not been in Iranian waters. Iran over the new diplomatic crisis. Iran announced Sunday that it was partially suspending cooperation with the U.N. nuclear watchdog agency, citing the "illegal and bullying"
TEHRAN: Iran and Britain stepped up the pressure over 15 Royal Navy detainees on Sunday, with state TV saying that the foreign ministry had protested their "illegal" incursion to the UK ambassador and PM Tony Blair warning that he regarded the matter as "very serious." In fact, Blair accused Iran on Sunday of seizing British naval personnel in Iraqi waters and said that Tehran must understand its action was "unjustified and wrong". Britain and the EU have demanded that Iran release the British sailors seized at gunpoint on Friday by the Iranian navy after they had searched a civilian vessel in the Iraqi part of the Shatt al Arab waterway. Iran says the sailors were trespassing in a "blatant aggression." • A ban on Iranian arms exports and on any country buying Iranian weapons. • A call on all nations "to exercise vigilance and restraint" in supplying tanks, combat aircraft and other heavy weapons to Iran. • An asset freeze on 15 individuals and 13 organizations and companies. • A call on all governments and financial institutions not to make any new commitments "of grants, financial assistance, or concessional loans" to the Iranian government. • A call on all countries to exercise "vigilance and restraint" on the entry or transit through their territory of the individuals who provide support or are involved with Iran's nuclear activities. • A requirement that all countries report the transit or entry of any of people whose assets have been frozen to the Security Council committee monitoring sanctions against Iran. The UN Security Council has slapped new sanctions on Iran over its suspect nuclear program as Western powers warned Tehran it faced becoming even more internationally isolated. UNITED NATIONS (Reuters) - Iran rejected a repeated demand by the U.N. Security Council to suspend uranium enrichment work after the 15-nation body imposed arms and financial sanctions on Tehran At the same time major powers, who drafted the resolution, immediately offered new talks on Saturday and renewed their offer of an economic and technological incentive package. But the sanctions would stay in place until Iran halts the enrichment of uranium and the reprocessing of spent nuclear fuel, which can be used to make a bomb or to generate electricity. Fifteen captured British servicemen have begun their third day in Iranian custody as pressure mounts for them to be freed. They were seized at gunpoint on Friday while patrolling the waterway which divides Iran and Iraq. The row is over is over whether or not their patrol boat entered Iranian territorial waters. â¢ Mandatory veiling of all women, regardless of their religion or social status. Failing to wear it is enough to risk jail, flogging or heavy fines. Mullahs' regime is arming and funding Iraqi rebels and targeting British troops in Iraq, a senior Army officer said today. Lt Col Justin Maciejewski, the commanding officer at the UK base at Basra Palace's stated that local community leaders had told him that Iranian agents were recruiting local men. The locals were armed with sophisticated modern weaponry and ordered to carry out attacks on coalition forces. They were paid 500 dollars a month. The UN Security Council is set to tighten sanctions against Iran without the presence of President Mahmoud Ahmadinejad. LONDON -- Iranian naval vessels seized 15 British sailors in Iraqi waters on Friday, the Ministry of Defense said. The British Navy personnel were ''engaged in routine boarding operations of merchant shipping in Iraqi territorial waters,'' and had completed their inspection of a merchant ship when they were accosted by Iranian vessels, the ministry said. Several foreign embassies in Teheran are updating their emergency evacuation plans should a Western or Israeli attack on Iran occur. According to foreign sources, foreign diplomats believe a possible attack would take place before the end of 2007. By that time, Iran might have enough enriched uranium to cause a humanitarian and environmental catastrophe from radioactive fallout should its nuclear facilities be damaged or destroyed in an attack. Embassies in all countries generally have evacuation plans for their staff, but foreign sources describe the general atmosphere in Iran as one of heightened preparedness. Recently, several diplomatic missions based in Teheran have begun to reassess their plans, and embassies without permanent security officers have requested them. Embassy experts reportedly are testing various evacuation options and logistics, such as timing routes to different destinations by different types of vehicles. The plans include evacuation for all staff. Iran's hardline Revolutionary Guards captured 15 British sailors and marines at gunpoint Friday in the Persian Gulf — an audacious move coming during heightened tensions between the West and Iran. UNITED NATIONS (Reuters) - U.N. Security Council members reached broad agreement on Friday on a resolution imposing new sanctions against Iran over its nuclear program but Iran's president canceled plans to address the council. UNITED NATIONS - Iranian President Mahmoud Ahmadinejad canceled a trip to New York to address the U.N. Security Council before it votes Saturday to impose further sanctions against his country for refusing to stop enriching uranium, an Iranian Foreign Ministry spokesman said. BASRA, Iraq (Reuters) - Iranian forces seized 15 British servicemen on Friday in the mouth of the waterway that separates Iran and Iraq, triggering a diplomatic crisis at a time of heightened tensions over Tehran's nuclear ambitions. Britain said two boatloads of sailors and marines from the naval frigate Cornwall had searched a merchant vessel in Iraqi waters on a U.N. approved mission when Iranian gunboats encircled and captured them. UNITED NATIONS: Major powers produced amendments on Thursday to get votes from South Africa, Indonesia and Qatar on sanctions against Iran for refusing to halt uranium enrichment that can be used in a nuclear weapon. No date for a vote has been set and could be delayed until next week as any changes have to be sent to the governments of the 15 UN Security Council members for approval. UNITED NATIONS -- The United States and Britain said today they are pushing for a Security Council vote Saturday to impose further sanctions on Iran, choosing not to work for unanimous council support or to wait for the Islamic Republic's president to make his case in person. President Mahmoud Ahmadinejad will not be able to attend the vote as planned because the flight crews' visas arrived too late for them to fly the Iranian leader to New York by the scheduled vote, said the Iran mission spokesman, Mohammad Mir Ali Mohammadi. Fifteen British navy personnel have been captured at gunpoint by Iranian forces, the Ministry of Defence says. The men were seized at 1030 local time when they boarded a boat in the Gulf, off the coast of Iraq, which they suspected was smuggling cars. NEW DELHI: India has told Pakistan it will not take part in the $7 billion Asian pipedream of wheeling gas from Iran unless Pakistan agreed to lower its transit fees. The ultimatum was conveyed to visiting energy advisor to Pakistan PM Mukhtar Ahmad on Thursday, a day after media reports quoted US energy secretary Samuel Bodman as having warned New Delhi against making energy deals with Iran. Israel is hoping the Iranian president´s blunt talk of annihilating the Jewish state will force international inspectors to send the Iranian nuclear issue to the U.N. Security Council -- before Israel has to consider other options. UNITED NATIONS – Six powers seeking new sanctions against Iran hoped to persuade all 15 nations on the U.N. Security Council to back the proposed punitive measures. BAGHDAD -- The Shiite militia known as the Mahdi Army is breaking into splinter groups, with as many as 3,000 gunmen now financed directly by Iran and no longer loyal to the firebrand cleric Moqtada Sadr, adding a potentially even more deadly element to Iraq's violent mix. Good morning. Thank you Chairman Dodd, Ranking Member Shelby, and distinguished members of the Committee for this opportunity to speak to you about the profound challenges posed to our national security interests by Iran. It is my pleasure to be here today with Treasury Under Secretary Levey and Commerce Acting Under Secretary Mark Foulon to discuss the strategy the United States is undertaking to address these challenges. BAGHDAD, Iraq -- The Shi'ite militia known as the Mahdi Army is breaking into splinter groups, with up to 3,000 gunmen now financed directly by Iran and no longer loyal to the firebrand cleric Muqtada al-Sadr. This adds another potentially deadly element to Iraq's violent mix. Two senior militia commanders said hundreds of the fighters have crossed into Iran for training by the Quds force, a branch of Iran's Revolutionary Guard thought to have trained Hizballah guerrillas in Lebanon and Muslim fighters in Bosnia and Afghanistan. ELEANOR HALL: In the United States the Bush Administration is putting pressure on major oil companies to stop dealing with Iran. It is part of the U.S campaign to persuade the Tehran regime to halt its nuclear program. And it coincides with discussions in the United Nations Security Council about a package of new sanctions against Iran. But Iran's supreme religious leader has merely answered these moves with more threats of his own. As North America correspondent Michael Rowland reports. PARIS–The new CEO of oil giant Total SA was held for questioning yesterday in an investigation into the group's activities in Iran, the latest legal challenge for France's biggest company and its embattled chief. Christophe de Margerie took over as CEO in February of a company facing sinking profits amid lower hydrocarbon output, rising exploration costs and oil prices down from their record highs. He spent last night in jail. The United Nations Security Council is trying to reach agreement on the next stage of sanctions to be imposed on Iran over its nuclear programme. The council's five permanent members are pushing for consensus on a draft resolution but have so far failed to persuade some other members. They want to augment existing sanctions with a ban on arms exports from Iran and further financial restrictions. Iran's supreme leader warned it would not stop its nuclear activities. IRAQI insurgents and death squads are being trained in at least six secret camps in Iran, according to the dissident credited with exposing the country's nuclear ambitions. Iranian supreme leader Ayatollah Ali Khamenei, delivers a speech in a public gathering at the city of Mashhad, 540 miles (900 kilometers) northeast of the capital Tehran, Iran, Wednesday, March 21, 2007. Iran's supreme leader said Wednesday that Tehran will pursue nuclear activities outside international regulations if the U.N. Security Council insists it stop Uranium enrichment. TEHRAN - Supreme Leader Ayatollah Ali Khamenei warned on Wednesday Iran would hit back if attacked over its nuclear program, which the United States believes is aimed at making atom bombs. Khamenei, who has previously threatened U.S. regional interests if attacked, was addressing a big crowd of pilgrims at Iran's holiest shrine in the northeastern city of Mashhad to mark the Iranian new year, which falls on March 21. "If they want to threaten us and use force and violence against us, they should not doubt that Iranian officials will use all they have in their power to deal a blow to those who assault them," he said in the speech aired on television. I wish everyone a wonderful new year full of hope, love, happiness and success. I hope this will be the year that will bring freedom and democracy to our country. VIENNA (AFP) - Iran stopped UN inspectors from visiting an underground bunker where it is building an industrial-scale plant to make enriched uranium but the inspectors will try again, diplomats told AFP Monday. Iran had however promised "frequent inspector access" to the site in Natanz, the UN watchdog International Atomic Energy Agency (IAEA) reported in February. In harmony with rebirth of nature, the Persian New Year Celebration, or Norooz, always begins on the first day of spring, March 20th of each year. Norooz ceremonies are symbolic representations of two ancient concepts - the End and Rebirth. About 3000 years ago Persian's major religion was Zoroastrianism, named in honor of its founder Zoroaster, and arguably the world's first monotheistic religion. Zoroastrians had a festival called "Farvardgan" which lasted ten days, and took place at the end of the solar year. It appears that this was a festival of sorrow and mourning , signifying the end of life while the festival of Norooz, at the beginning of spring signified rebirth, and was a time of great joy and celebration. Norooz was officially acknowledged and named "Norooz" by mythical Persian emperor, Shah Jamshid, from Achaemenid Dynasty (500 BC). Ashaemenied created the first major empire in the region and built Persepolis complex (Takhte Jamshid) in the city of Shiraz. Norooz in Persian means "New Day" and brings hope, peace and prosperity to the world and has been celebrated among people regardless of ethnic background, political views or religion in many countries around the globe such as Iran, Afghanistan, Azerbaijan, Turkey, Uzbekistan, Pakistan, Georgia, Iraq, Tajikistan, Syria ,Armenia and India. Some of the activities during Norooz are Spring cleaning, buying new cloths, painting eggs, family reunion, giving presents, visiting neighbors and friends and celebrating by having a picnic on the 13th day of Spring. Happy Norooz! On March 21, after the lapse of thousands of years, Iranians from all walks of life enthusiastically celebrate the Noruz festival, irrespective of their age, language, gender, race, ethnicity, or social status. The word Noruz itself literally means "new day" in the Persian language and the festivity marks the beginning of the solar year as well as the New Year on the Iranian national calendars as well as several others, and usually falls on March 21. At its core, the Noruz Festival celebrates the rebirth of nature. This reawakening symbolizes the triumph of good over the evil forces of darkness, which are represented by winter. BEIRUT, Lebanon: When Iraq hung Saddam Hussein, furious Sunni Muslims in the militant group Hamas held mourning ceremonies. That did not sit well with Shiite Muslim Iran, one of Hamas' key backers but also a strong Saddam foe. Yet the dispute over Saddam's execution did not break the Hamas-Iran alliance, either. Instead the two — bound by common strategic interests — have solidified their relationship in the last year, creating a growing worry for both some Arab countries and for Israel. Israel has in recent weeks accused Iran of training Hamas militants from Gaza and smuggling weapons to Hamas. The weekend formation of a Palestinian coalition government between Hamas, which won a democratic election a year ago, and the more moderate Fatah is sure to bring new attention to the issue. On Iran, the options for the U.S. are limited, but the best ones are through the U.N. Security Council. ECONOMIC SANCTIONS have a bad reputation. That's unfortunate, because the kind of sanctions the United States is proposing for Iran are more effective and more humane than sanctions used to be. They also happen to be more realistic than any of the other options regarding Tehran. So just how good is the draft package of sanctions against Iran that is now pending before the U.N. Security Council? Better than expected, actually, though not as tough as the United States would like. TEHRAN, Iran – A fugitive Iranian businessman was arrested outside the country after escaping from authorities last month, Iran's justice ministry said Sunday. Shahram Jazayeri had been sentenced in 2002 to 27 years in prison for embezzlement in a high-profile conviction that was part of a crackdown on graft ordered by Iran's Supreme Leader Ayatollah Ali Khamenei.Prosecutors had charged Jazayeri, a former adviser to parliament's economic commission, with embezzlement, the payment of $4.2 million in bribes, and illegal interference in imports and exports. In accordance with the Islamic law enforced in Iran, Jazayeri was also sentenced to 50 lashes. His prison term was later reduced to 14 years, Iranian media reported. UNITED NATIONS: The UN Security Council (UNSC) braces this week for a dramatic showdown with Iranian President Mahmoud Ahmadinejad over a vote on new sanctions to prod Tehran to comply with demands that it suspend uranium enrichment. South African Ambassador Dumasani Kumalo, who chairs the 15-member Council this month, said there had been no objection from members to a request by Ahmadinejad to attend the session at which a new draft sanctions resolution is to be adopted. The full council was set to meet on Wednesday afternoon to review the compromise text agreed on Thursday. A vote on the draft, which toughened sanctions already adopted by the council in December, was likely to follow a few days later, diplomats said. MOSCOW (AFP) - Russia's security chief issued a veiled warning to Washington on Sunday not to use the Iranian nuclear issue to try to change Tehran's political course. "We oppose this question being used as an instrument of pressure, being used to interfere in Iran's internal affairs," said Igor Ivanov, the head of Russia's Security Council, Interfax news agency reported. At the same time Ivanov, who is Russia's chief negotiator with Iran over its nuclear programme, called on Tehran to clarify unanswered questions about its uranium enrichment activities. I am extremely concerned that the Syrian authorities may have forcibly returned two Iranian Arab men, Ali Bouazar and Kamal Nawaseri, recognized refugees, to Iran on 5 March 2007 where they would be at risk of torture, ill-treatment or the death penalty. I am also concern that the remaining four men Afnan Yousuf azizi bani Toruf, Salahuddin Hilali Majd Sawari, Ahmad Assadi and Jaber Obeyat are facing forcible return to Iran, where they would be at risk of torture, ill-treatment or the death penalty. This is in violation of Syria's obligations under the Convention against Torture and Other Cruel, Inhuman or Degrading Treatment or Punishment, and contravenes the principle of non-refoulement, which prohibits the return in any manner whatsoever of any person to a situation where they would be at risk of torture, ill-treatment, or other serious human rights abuses. Iranian President Mahmoud Ahmadinejad has vowed to continue his country's nuclear programme, as the UN stepped up pressure over the controversial work. The UN Security Council has drafted a new sanctions package against Iran over its refusal to stop enriching uranium. The package includes an arms embargo and economic penalties, tightening sanctions imposed last year. Mr Ahmadinejad has made a formal request to attend the Security Council vote on the draft, due next week. Official requests for visas had been made for an Iranian delegation made up of at least 38 people, said Richard Grenell, spokesman for the US mission to the UN. Mr Ahmadinejad vowed to pursue his nation's nuclear future despite the sanctions, at a rally central Iranian town of Khatam. "We have a nuclear fuel cycle. We will not give it up under pressure," Mr Ahmadinejad said. "By holding the meetings you cannot block the Iranian nation's path." On Thursday, he attacked the council as "illegitimate". The Iranian ambassador to the UN's nuclear agency, the IAEA, described the threat of wider sanctions as counter-productive. In a BBC interview, the ambassador, Ali Asgar Soltanieh, said the language of threat would never work and added there was no legal basis for the existing sanctions against Iran. The new sanctions package was agreed on Thursday by the five permanent Security Council members - Britain, France, the United States, China and Russia - plus Germany, after Tehran refused to stop enriching uranium, which can be a precursor to weapons manufacture. The British ambassador to the UN has sent the draft to the 10 non-permanent Security Council members who were not included in the negotiations. A vote on the draft is due next week. Iran insists its nuclear programme is peaceful, but Western governments say it wants to develop nuclear weapons. Last December, the Security Council voted unanimously to impose a first, limited set of sanctions against Iran for refusing to halt uranium enrichment. The latest package includes extending a freeze of assets to those linked to Iran's nuclear and missile programmes and a ban on new grants and loans to the state. South Africa's ambassador at the UN, Dumisani Kumalo, who chairs the council this month, warned on Thursday that the 10 non-permanent members now want to have their say. "Nowhere in this process have they ever said that the five-plus-one would have the exclusive wisdom of producing [the draft resolution] and for us to rubber-stamp," he said. The six Iranian Arab men named above, most of them students at the University of Damascus, were arrested in the Syrian capital Damascus on 5 March. It is believed that two of them, Ali Bouazar, who reportedly faces a death sentence in Iran, and Kamal Nawaseri, may have been forcibly returned to Iran on the day of their arrest. The remaining four men are reportedly held incommunicado at an unknown location, where they are at risk of torture and of being forcibly returned to Iran. If returned, they would face persecution and, in at least one case, the death penalty. According to reports, five of the six men are UN-recognized refugees and the sixth man is an asylum seeker. The Syrian authorities reportedly denied personnel from the United Nations High Commissioner for Refugees (UNHCR) access to the men and have not yet confirmed whether any forcible return took place. Ali Bouazar reportedly arrived in Syria around the end of December 2006, having fled Iran after being sentenced to death by a Revolutionary Court there. Kamal Nawaseri arrived in Syria around August 2006 and, as a refugee, was reportedly accepted for resettlement in the US. Ali Bouazar was reportedly forcibly returned to Iran about 12 hours after his arrest. Kamal Nawaseri may also have been forcibly returned at the same time. The whereabouts of both men are unknown. Afnan Yousuf Azizi Bani Toruf, a civil engineering student, has reportedly been accepted for resettlement in Australia. He is the son of Yousuf Azizi Bani Toruf, a journalist and member of the Writers’ Association (Kanoun-e Nevisandigan) in Iran. Yousuf Azizi Bani Toruf was arrested on 25 April 2005, after condemning the Iranian security forces' violent suppression of anti-government demonstrations in Khuzestan province. He was released on 28 June 2005 (see UA 109/05, MDE 13/020/2005, 6 May 2005 and follow-up). Salahuddin Hilali Majd Sawari and Jaber Obeyat are both students at the University of Damascus. Ahmad Assadi, an Arabic literature student, was reportedly arrested at his place of work in a hotel in Damascus. His room at the university was searched and some of his possessions were confiscated. Much of Iran's Arab community lives in the province of Khuzestan, which borders Iraq. Following mass demonstrations in April 2005, and bombings which took place in Ahvaz city in Khuzestan in June and October 2005 and in January 2006, hundreds have been arrested and there have been reports of torture and at least 10 men have been executed following unfair trials. 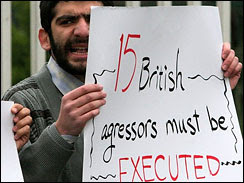 At least 15 Iranian Arabs are reportedly under sentence of death, apparently having been designated as “mohareb” (at enmity with God) (see UA 57/06, MDE 13/023/2006, 10 March 2006 and follow up; and UA 301/06, MDE 13/126/2006, 13 November 2006 and follow up). The charges they face include involvement in the bombings, distributing material against the state, and endangering state security. Amnesty International recognizes the right and responsibility of governments to bring to justice those suspected of criminal offences, but is unconditionally opposed to the death penalty as the ultimate violation of the right to life. Four Iranian men of Arab ethnicity are believed to have been forcibly returned to Iran in 2006 (see UA 132/06, MDE 24/037/2006, 15 May 2006 and follow ups). At least one of these men is facing a death sentence. Syria is a State Party to the Convention against Torture and Other Cruel, Inhuman or Degrading Treatment or Punishment (CAT), which prohibits the return of any individual to a country where they would be at risk of torture or ill-treatment. - expressing concern that this is in violation of Syria's obligations under the Convention against Torture and Other Cruel, Inhuman or Degrading Treatment or Punishment, and contravenes the principle of non-refoulement, which prohibits the return in any manner whatsoever of any person to a situation where they would be at risk of torture, ill-treatment, or other serious human rights abuses. For the original statement please click on the title of the article. The Revolutionary Court in the city of Oroumiey has sentenced Hossein Forohideh, a political activist to death and is planning to execute him today March 16, 2007. Four months ago Mr. Forohideh was arrested in the Kurdistan of Iran and was subjected to severe torture. For three months his family had no news about his whereabouts. They tried to find out his whereabouts by going to various Security and Judiciary Agencies but were not successful and slowly started losing hope in regards to him still being alive. The Student Committee for the Defence of Political Prisoners is asking the Security and Judiciary Officials to immediately stop the execution of Hossein Forohideh and to give reasons as to why he was sentenced to death. Any sentence by the Judiciary must be carried out only after due process and the rights of a prisoner have been taken into consideration. Hossein Forohideh was held in solitary confinement for months and subjected to torture. There is no information regarding his trial and sentencing. The reason for Mr. Forohidehs arrest was communication with Anti-Regime Political Organizations outside of Iran and therefore he is a prisoner of conscience. The Security and Judiciary officials are therefore responsible for his life and well being and must show that due process has been followed before any sentence can be carried out. in Argentina's worst terror attack. Iran said it would appeal the decision. Please read The Story by clicking on the link. From what I have read o Arshan news and my own sources Mr. Forohideh has been charged with espionage and working with foreign agencies to overthrow the Islamic Regime. Mr. Forohideh is a 33 year old activist. He has been in the Oromiye Prison for the past 4 months and three days and until two days ago his family had no news of him. Two days ago his mother was informed of his whereabouts in the Oromiye prison and was able to visit him. 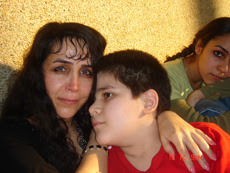 After the visit the prison officials told her mother to encourage his son to cooperate, otherwise they would execute him. His mother encourages him to tell them what ever he knows so that he can save his life. As she is leaving the prison officials tell her that Mr. Fordieh has been sentenced to death and will most likely be executed in the next 48 hours. For the full article in persian please click on the title of this article. Please contact human right organizations such as Amnesty International and Human Rights Watch as well as various media as soon as possible and inform them of Mr. Forodiehs situation. I just recieved some news from my sources in regards to a political activist named Hossein Forohideh. I actually have very limited information right now but hope to have a lot more this evening. What I know is that he is a anti-IRI activist who "dissapeared" about 4 months ago. 2 days ago his mother recieved a call from the Orumiya Prison stating that he was being held there on political charges and coopration with forign countries against Islamic Regim (these kind of charges are always used to convict Democracy activists ) and will be executed in next few days now only less than 48 hours left . I should note that Mr. Frohideh's father is a refugee in Van a city in Turkey. TEHRAN (Reuters) - Iranian President Mahmoud Ahmadinejad on Thursday dismissed any new U.N sanctions resolution as "a torn piece of paper" that would not stop Tehran's nuclear work, a local news agency reported. United Nations have reached a tentative deal on imposing fresh sanctions on Iran and hope to introduce the measure at the Security Council on Thursday, providing their governments agree. An earlier sanctions resolution passed by the Security Council in December was derided by Ahmadinejad in similar terms. The new measure, which may be adopted next week, would impose extra penalties on Tehran for refusing to suspend uranium enrichment, which can produce fuel for use either in nuclear bombs or civilian power stations. "What is the aim of issuing such resolutions? Today we are mastering the nuclear fuel cycle completely," Ahmadinejad said. "If all of you (Westerners) get together and call your ancestors from hell as well, you will not be able to stop the Iranian nation." Western nations suspect Iran's nuclear program is a cover for efforts to make atomic weapons. Iran, the world's fourth largest oil exporter, denies that and says it wants only to supply nuclear power plants. Ahmadinejad said imposing sanctions on Iran would be counter-productive. "You sanctioned us in the past but we obtained the nuclear technology. Impose economic sanctions on us today and see what would be our next step," Ahmadinejad said. Iran's Supreme Leader Ayatollah Ali Khamenei has the final say in nuclear and other matters. But, like Ahmadinejad, he has also insisted Iran will not give up its atomic plans. Ahmadinejad said Western powers were wrong to suppose Iran would give up its nuclear program under political pressure, adding that the Security Council had "no legitimacy." "All the Iranian nation insists on this right and will not retreat one iota," Ahmadinejad said. Washington says it would prefer a diplomatic solution to the crisis but does not rule out military options. UNITED NATIONS -- A proposed new package of sanctions against Iran for enriching uranium appeared headed to the U.N. Security Council after ambassadors for six world powers resolved remaining differences.The six-nation show of unity would be unlikely to meet strong opposition from the other 10 members on the council, which must approve the measures. A vote was expected in the days to come. "We have an agreement in principle based on some additional changes that were introduced and presented today by some delegations," acting U.S. Ambassador Alejandro Wolff said Wednesday.He said the new elements still needed to be approved by government officials in the five countries that hold permanent council seats -- the U.S., Russia, China, France and Britain.But he and other envoys expressed confidence the package would be presented to the council on Thursday with support from those governments and the sixth nation involved in the negotiations, Germany. "Our hope is now that we've overcome a particular hurdle ... and the council will have the text before it by tomorrow morning," said Britain's U.N. Ambassador Emyr Jones-Parry.Iran insists its enrichment program is peaceful and aimed solely at producing nuclear energy, but the U.S., European nations and the U.N. nuclear watchdog are concerned that Iran's goal is to produce nuclear weapons.The modest package includes an embargo on Iranian arms exports and an asset freeze on more individuals and companies associated with Tehran's nuclear and missile programs, council diplomats said.The United States and the Europeans would certainly favor tougher sanctions, but knew they had to settle for less to ensure that Russia and China, which have close commercial ties with Iran, will not use their veto power to block a resolution.Russia's U.N. Ambassador Vitaly Churkin said while there was agreement on the proposals "by and large," some of the council members still want to consult with their governments on the details. "I assume as they double-check, they will get a positive response from the capitals, and they expect that this is going to be the case, too," he said.Iranian President Mahmoud Ahmadinejad on Wednesday warned the West that it would deepen the rift with his country by imposing more U.N. sanctions. "You are wrong if you think you can sit and draft ... something in order to isolate the Iranian nation," Ahmadinejad said in a speech to several thousand people in the Iranian city of Yazd. "Not only are you unable to hurt Iran, but you would further isolate yourselves and make yourselves more hated," he added.In December, the Security Council voted unanimously to impose limited sanctions against Iran for its refusal to freeze uranium enrichment. It ordered all countries to stop supplying Iran with materials and technology that could contribute to its nuclear and missile programs and to freeze assets of 10 key Iranian companies and 12 individuals related to those programs.The council said it would consider further nonmilitary sanctions if Iran refused to suspend enrichment. Iran's response was to accelerate its enrichment program.The new resolution also would call on all U.N. member states to exercise "vigilance and restraint" on arms imports and on the entry or transit through their territory of Iranians subject to the asset freeze, a council diplomat said, speaking on condition of anonymity because the text has not been circulated.It would call on governments to make no new commitments "of grants, financial assistance, or concessional loans to the government of Iran," the diplomat said.China's U.N. Ambassador Wang Guangya said he wasn't happy with the list of additional individuals and entities that would be subject to sanctions, but he added: "I think one has to reach agreement, so there has to be a package. "Earlier Wednesday, Israel's Foreign Minister Tzipi Livni and Defense Minister Amir Peretz met with U.N. Secretary-General Ban Ki-moon to discuss Iran's nuclear program.Afterward, Livni urged the Security Council to strengthen its sanctions on Iran. She said Iran's government, which speaks publicly of wiping Israel off the map and denies the Holocaust, is a threat not only by Israel but to Iran's Arab Muslim neighbors.She said it is "clear that their goal is to pursue a nuclear weapon. Time is of the essence because while we are talking, they are working ... to master the technology and to achieve this goal. So we have to stop it. "___Associated Press writers Sarah DiLorenzo and Lily Hindy contributed to this report. JERUSALEM — Israel's intelligence community has determined that Iran launched a crash program to form a Hamas-led Palestinian army. Officials said Iran has been training up to 500 Hamas operatives as combat commanders and soldiers. They said the Hamas fighters would serve as the core of any Hamas-led Palestinian Army over the next year. "When you have 500 people trained in modern warfare, with advanced equipment, they can serve as trainers for a full-sized army," an official said. On Tuesday, Israel Security Agency director Yuval Diskin said Hamas has sent hundreds of fighters to Iran for a military training course, Middle East Newsline reported. Diskin told the Knesset Foreign Affairs and Defense Committee that the Hamas fighters were receiving "high-quality training" that would last about six months. "Hundreds of Hamas members have been sent to Iran for training, and not training periods of a week, two weeks or a month, but for long-term, high-quality training," Knesset member Zvi Hendel, a member of the committee, quoted Diskin as saying. Diskin said the Iranian plan envisioned the formation of a Palestinian army by 2009, with missiles that could reach targets throughout southern Israel. He said Hamas has been training forces the size of companies and battalions in the Gaza Strip. At the same time, Diskin said, Hamas has sought to build a military infrastructure in the West Bank. The ISA chief said Hamas, with Iran's help, wants to assemble Katyusha-class rockets in the West Bank that could strike Tel Aviv and other major cities in central Israel. "If these weapons leak from the Gaza Strip to Judea and Samaria [West Bank], it means that every Israeli city -- Tel Aviv and Jerusalem -- could come under possible threat of projectile weapons," Knesset Foreign Affairs and Defense Committee chairman Tsahi Hanegbi said. "This is not the case because the Israeli military is in Judea and Samaria." Officials said Iran has already trained scores of Hamas fighters for a Palestinian army directed by Teheran. They said the army would be comparable in skills to the Iranian-sponsored Hizbullah and contain special forces, logistics, engineering and anti-tank squads. "Iran and Hamas got married in 2001," Internal Security Minister Avi Dichter, Diskin's predecessor, said. "Iran tried to build and base this coordination through Hizbullah. But Hamas refused and insisted on direct Hamas links to the Islamic Revolutionary Guard Corps and the Iranian Intelligence Ministry." The key capabilities of the Hamas force has been weapons tunnels and improvised explosive devices. Officials said Hamas has built a network of tunnels throughout the Gaza Strip. "The picture drawn for us is grave," Knesset member Yuval Steinitz, deputy chairman of the committee, said. Steinitz has Palestinian Authority Chairman Mahmoud Abbas has been cooperating with the Hamas military effort. The Israeli parliamentarian said Abbas plays the "good cop with whom we talk peace while over his shoulder stands Hamas, the bad cop." "I call on the government to launch Operation Defensive Shield-2 in the Gaza Strip," Steinitz, in reference to the month-long Israeli operation in the West Bank in 2002, said. agreed in principle Wednesday on a proposed new package of sanctions against and were expected to introduce a resolution to the Security Council on Thursday if their governments approve it, the U.S. ambassador said. that haven't been part of the negotiations. However, an agreement by the five veto-wielding permanent members of the council and Germany would be a strong signal that they want to send a united message to Iran to suspend uranium enrichment. "We have an agreement in principle based on some additional changes that were introduced and presented today by some delegations," acting U.S. Ambassador Alejandro Wolff said. He said the new elements needed to be approved by government officials in each of the five countries that hold permanent council seats — the U.S., Russia, China, France and Britain. But he called it a "package approach" that "would be essentially the way forward in a resolution." Russia's U.N. Ambassador Vitaly Churkin said "by and large it has been agreed." He said some of the council members still want to consult with their governments on the details. "I assume as they double check, they will get a positive response from the capitals, and they expect that this is going to be the case, too," he said. Iran insists its enrichment program is peaceful and aimed solely at producing nuclear energy, but the U.S., European nations and the U.N. nuclear watchdog are concerned that Iran's goal is to produce nuclear weapons. In December, the Security Council voted unanimously to impose limited sanctions against Iran for its refusal to freeze uranium enrichment. It ordered all countries to stop supplying Iran with materials and technology that could contribute to its nuclear and missile programs and to freeze assets of 10 key Iranian companies and 12 individuals related to those programs. The council said it would consider further nonmilitary sanctions if Iran refused to suspend enrichment. Iran's response was to accelerate its enrichment program. The modest package of new measures agreed to by the ambassadors of the six countries includes an embargo on Iranian arms exports and an asset freeze on more individuals and companies associated with Tehran's nuclear and missile programs, council diplomats said. The new resolution would also call on all U.N. member states to exercise "vigilance and restraint" on arms imports and on the entry or transit through their territory of Iranians subject to the asset freeze, a council diplomat said, speaking on condition of anonymity because the text has not been circulated. It would also call on governments to make no new commitments "of grants, financial assistance, or concesssional loans to the government of Iran," the diplomat said. The United States and the Europeans would certainly favor tougher sanctions, but knew they had to settle for less to ensure that Russia and China, which have close commercial ties with Iran, will not use their veto power to block a resolution. China's U.N. Ambassador Wang Guangya said he wasn't happy with the list of additional individuals and entities that would be subject to sanctions, but he added: "I think one has to reach agreement, so there has to be a package." Earlier Wednesday, Foreign Minister Tzipi Livni and Defense Minister Amir Peretz met with U.N. Secretary-General Ban Ki-moon to discuss Iran's nuclear program. Afterward, Livni urged the Security Council to strengthen its sanctions on Iran. She said Iran's government, which speaks publicly of wiping Israel off the map and denies the Holocaust, is a threat not only by Israel but to Iran's Arab Muslim neighbors. She said it is "clear that their goal is to pursue a nuclear weapon. Time is of the essence because while we are talking, they are working ... to master the technology and to achieve this goal. So we have to stop it."